Comedy as a film genre has been around since the early 1900s. The '70s decade has brought us parodies and satire films, was called ‘The Last Golden Age of American Cinema (The American ‘New Wave) and the Advent of the Blockbuster Film’. The ’70s has brought plenty of comedy films like 'Blazing Saddles' (1974) and 'Young Frankenstein' (1974), both by Mel Brooks. Mel Brooks Broadway farce 'The Producers' was appeared in 1968 but it was a classic, hilarious film and the biggest hit everywhere. That is what started his career of spoofing genres like westerns and horror films. The settings in some 70s comedies were sometimes set in upper middle class New York. For example, Woody Allen’s early films were set in New York like 'Manhattan' (1979) and 'Annie Hall' (1977). 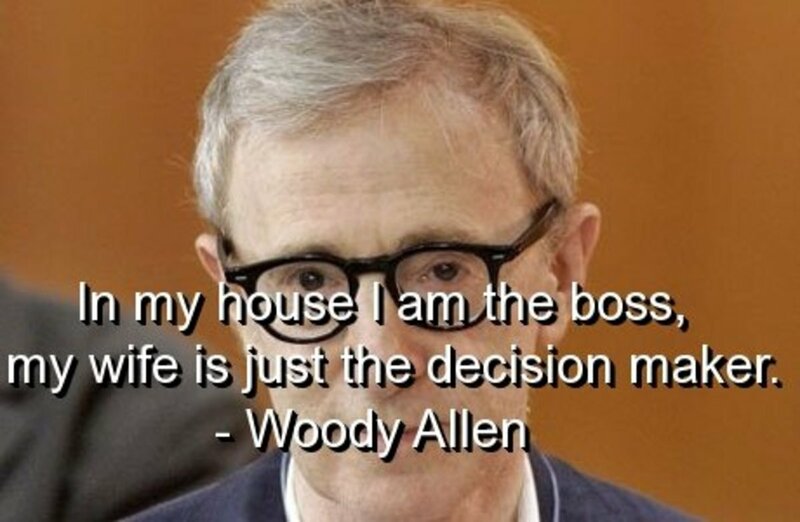 Keaton’s character Linda leaves, she comes back and she sleeps with Allan, played by Woody Allen. In the episode of 'Family Guy,' Lois asks Brian to leave and he sleeps outside. This move is hilarious and Woody Allen is great as his character that is obsessed with 'Casablanca' and tries trying to channel Humphrey Bogart’s character to get the ladies. Other comedies in the ’70s were also cult hits. 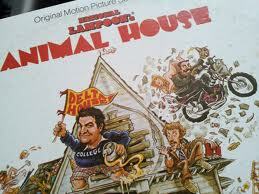 'National Lampoon’s Animal House' (1978) is a screwball gross-out comedy brought to us from by the National Lampoon’s magazine, which started in 1968. It was the first movie from the movie 'Lampoon', and it was highly successful. It is about a wild party at the Delta house at the fictitious Faber College. I have not watched this movie all the way through, but my favorite scenes were the food fight scene and the part where John Belushi’s character demonstrates imitates himself as a zit. This movie was very so influential that it was referenced in many series like 'The Simpsons', 'Undeclared', 'The Office', and 'Family Guy'. It was also spoofed in 'Jay and Silent Bob', 'The New Guy', and 'Despicable Me.' The movie reminds of the American Pie films and 'Slackers' because of the crazy antics and wild parties that happen in college. The magazine has also made other films named after them like 'European Vacation' (1983),' Senior Trip', and 'Van Wilder' (2002). Monty Python films were also a big influence in the ’70s for comedy. The series 'Monty Python’s' The Flying Circus was a sketch comedy show that started in 1969 and ended in 1974. The Python artists collaborated on five films, in addition to the TV series, which, while very influential, met with varying degrees of commercial success. The film series is no more than five films and all of them were a success. The first film, 'And Now for Something Completely Different' (1971), is a sketch comedy film that was mostly compiled of sketches from the show and did well in the box office in the U.K., but the group did not like it The other two movies in the ’70s like “Life of Brian” had a plot to it. I have never watched this show ever, but John Cleese is one of my favorite actors and I know he was funny in it. 'The Simpsons' creator Matt Groening has cited acknowledges that he has borrowed from Monty Python is used in for some of his episodes, like the couch gag. In the Lemony Snicket book The Reptile Room, the character Uncle Monty is named after Monty Python for his love of snakes. It has influenced Saturday Night Live and the show is on its 37th season. I always thought that the British comedy show 'Benny Hill Show' was influenced by Monty Python films, but it started the same year Monty Python did. What is your favorite comedy in the 70s?